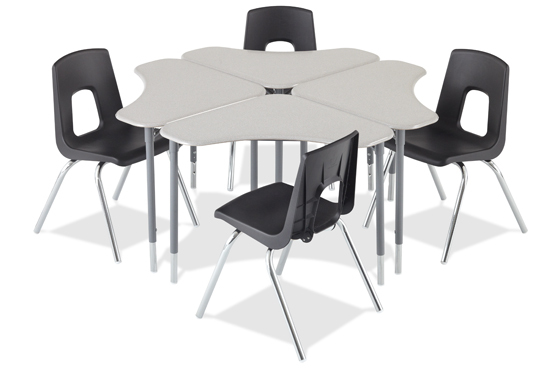 Having the right furniture and equipment is essential to every aspect of learning. 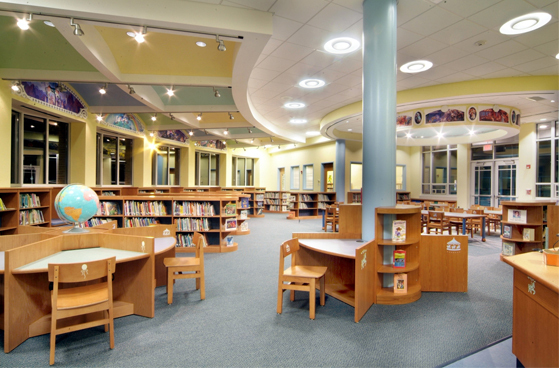 Sierra School Equipment Company has the ability to provide key furniture and equipment for virtually any educational environment. We can provide an activity table for a child’s first day of daycare, a chemistry lab workstation for higher education as well as the other school furnishings that are necessary for every point in between. 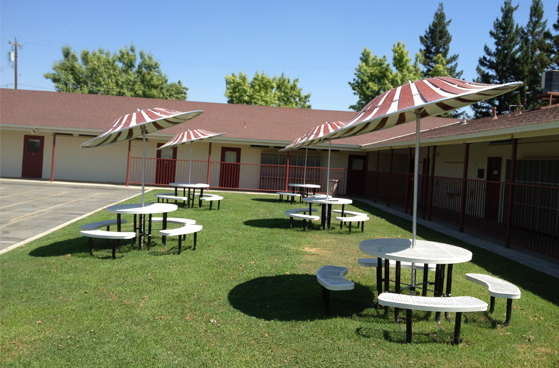 Sierra School Equipment Company is not just about chairs and desks. 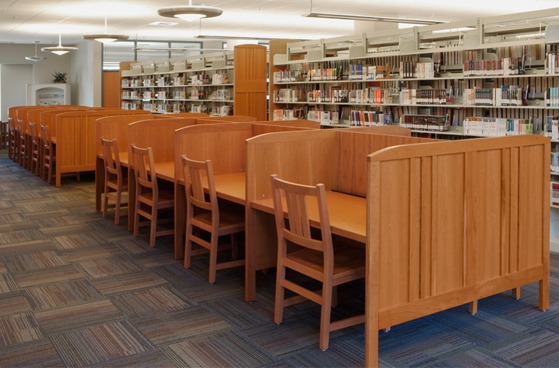 We can provide everything that students of all ages require including book and athletic lockers, workbenches, bleachers, computer lab furniture, study tables and more. 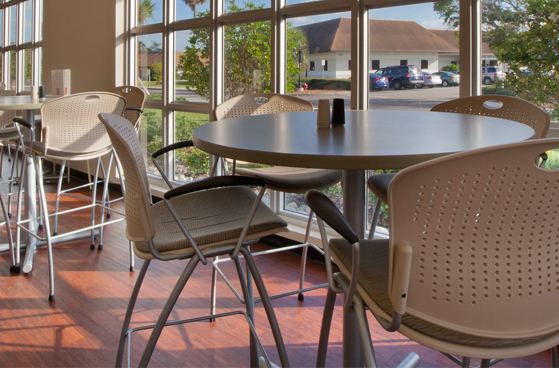 Contact us today to learn more about how we can help create an appropriate learning environment for your institution that is designed to meet your exact specifications and budgetary requirements. The foundation of any classroom is made up of teachers, students and the right resources including classroom furniture. Comfortable and durable furniture is a key to the learning process. 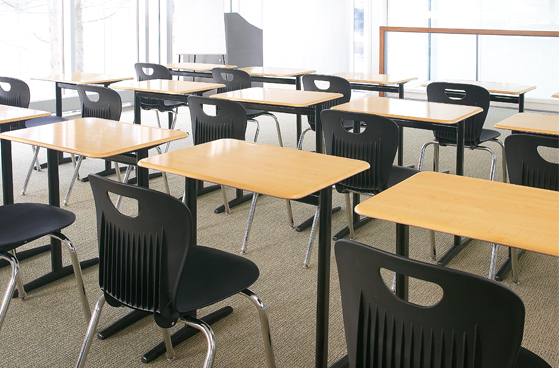 Our company can provide a range of classroom furniture including student desks, chairs, teacher’s desks, markerboards, bookcases, tables, teaching walls and more. 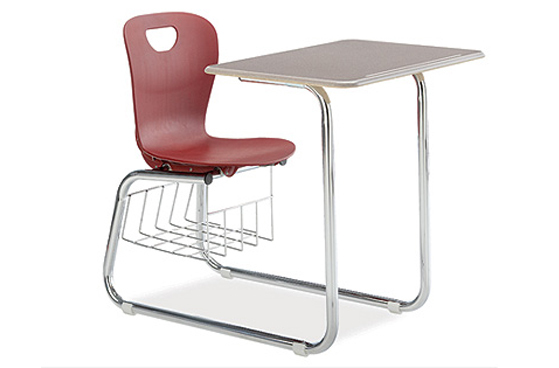 Any furniture you would expect or hope to see in the modern classroom is available from Sierra School Equipment Company. Our offering can match any style of furniture you seek as we have the versatility to provide more traditional looks as well as sleek, modern appearance. 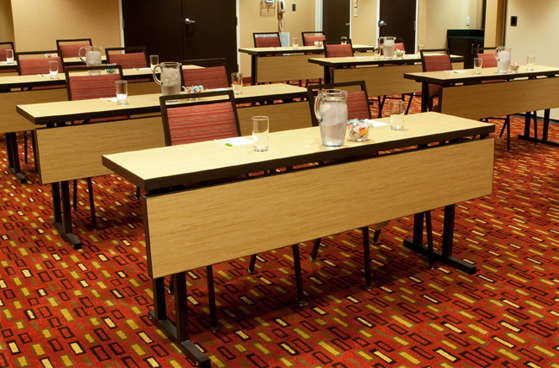 Additionally, we have the ability to customize furniture to fit your exact specifications. 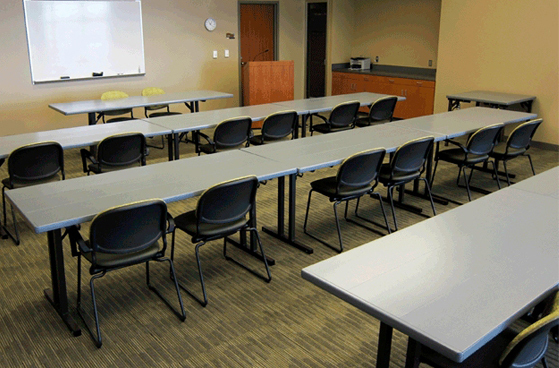 Contact us today to learn about the great variety of classroom furniture that we can provide your facility. We offer a diverse array of price points to meet your budget. 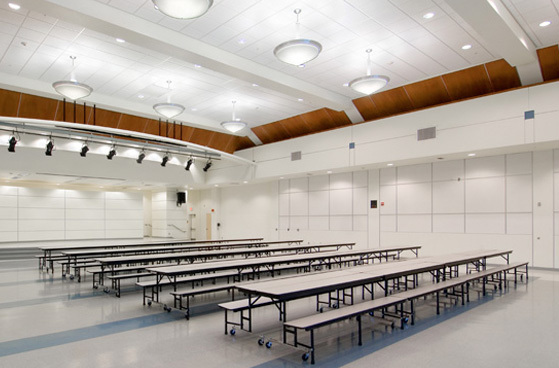 A well run cafeteria is essential for a properly functioning learning institution. The old saying that, “an army marches on its stomach” is completely fitting for all kinds of learning institutions. 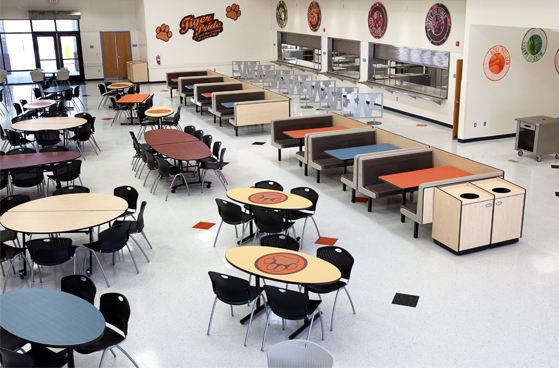 An essential part of having an efficient and operational cafeteria or multipurpose room is to have durable, reliable and functional cafeteria tables. 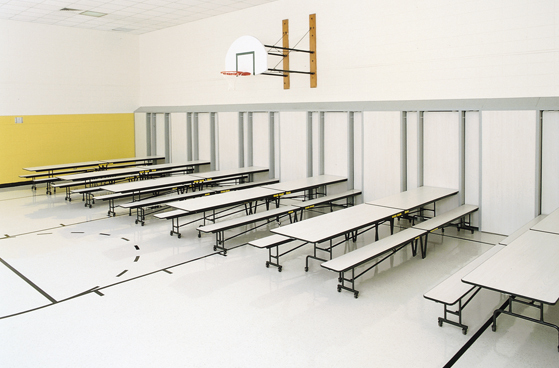 We can provide a large variety of cafeteria tables to meet a wide range of needs and budgetary requirements. Available are various styles including convenient “Fold-N-Roll” tables in shapes including round, rectangular, octagon, and square as well as in-wall tables. 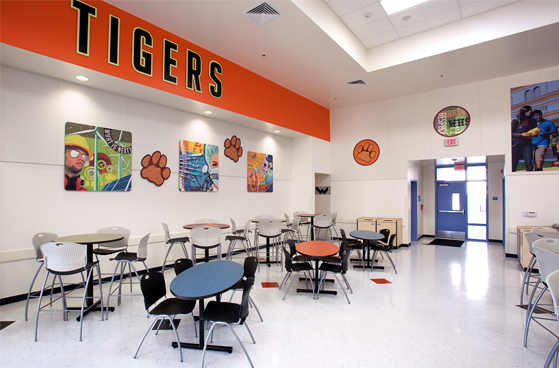 Sierra School Equipment Company can create “food court” applications incorporating traffic flow, food carts, booth seating, and appealing murals and artwork to create an uplifting atmosphere and increased revenues for food services. 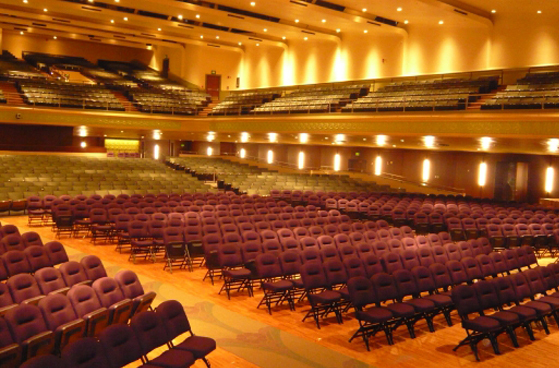 For multipurpose rooms, we can provide podiums, folding chairs, portable stages, draperies and more. 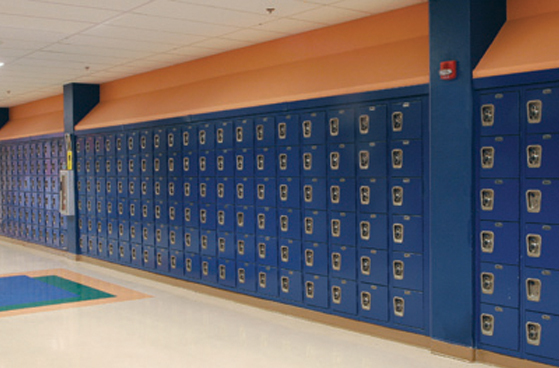 Without lockers, schools would quickly become a cluttered mess. 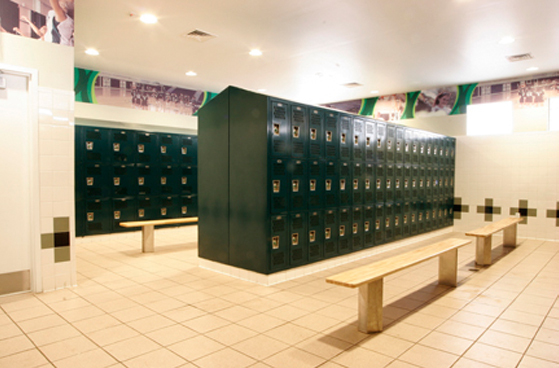 Lockers may fade into the background, but you can be sure that we fully understand their role and importance in the day to day life of any school. When most people hear the word “locker” they may only think of student book lockers, but we realize that school’s varied needs call for a diverse array of lockers including team lockers, coach’s lockers, employee lockers and more. 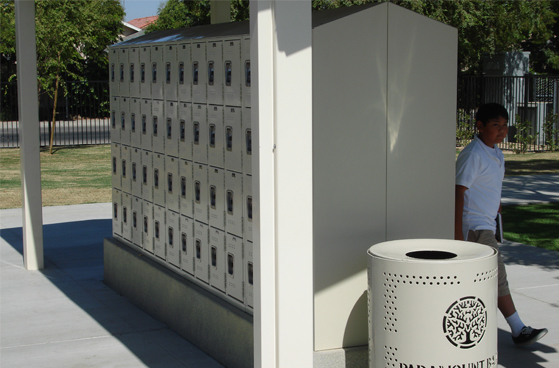 We can provide a great variety of well constructed and durable lockers including knocked down or all-welded locker construction. 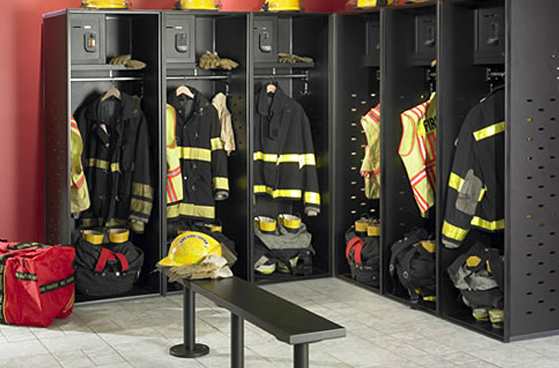 Lockers appropriate for colleges and universities are also available. 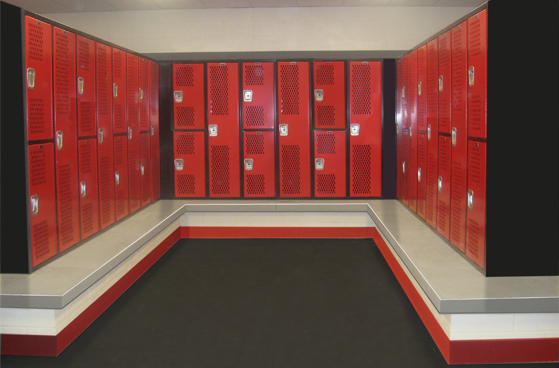 Sierra School Equipment Company can also satisfy your custom locker requirements by providing premium wood, steel and laminate lockers with many configurations and an endless assortment of finishes. 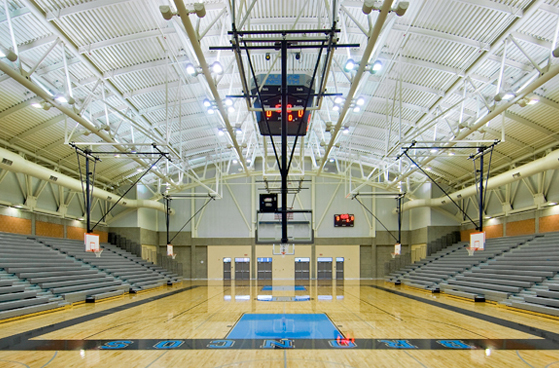 Gymnasium equipment refers to far more than just sporting equipment. 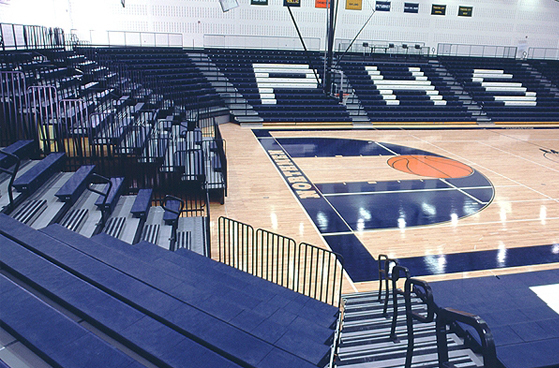 Properly equipping the modern gymnasium involves providing students and fans with everything from bleachers, aisle rails, vinyl side curtains complete with the school logo and much more. 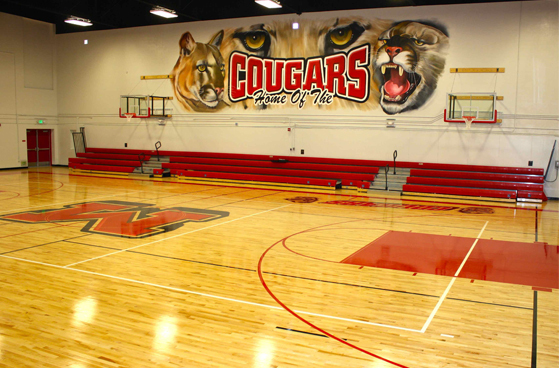 Sierra School Equipment Company also offers schools the equipment necessary to successfully play various sports including everything from volleyball courts and posts, basketball backstops, logo folding chairs for teams, score tables and even trophy display cases. 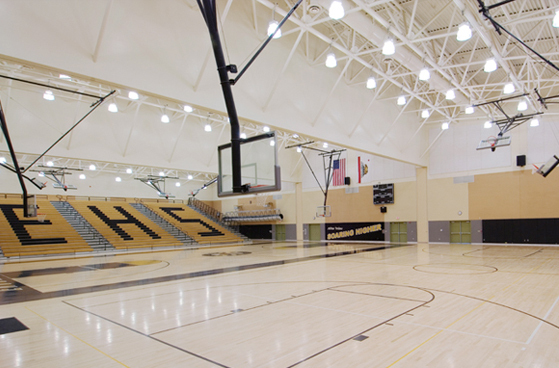 We realize that the look and feel of your gymnasium can have an impact on intangible factors like school spirit and how students feel about physical education. 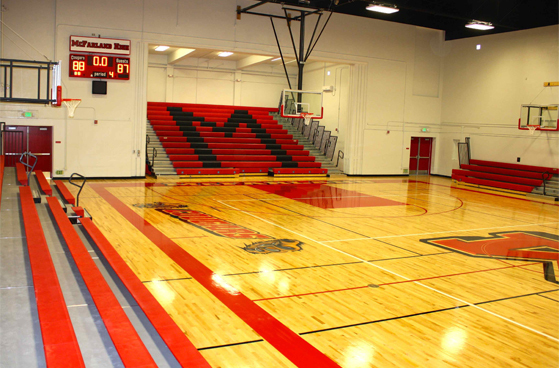 When you opt to work with Sierra School Equipment Company, you can be sure that we will provide you with many options at a variety of price points so that you will get the exact gymnasium that gives your school the home court advantage it deserves. Computers and technology play a vital role in today’s educational environment. Having the right kind of computer and technology furniture means providing comfort and accessibility to students. Whether it is equipping your computer and science labs or your vocational labs, such as wood shop or tech labs, we have you covered. 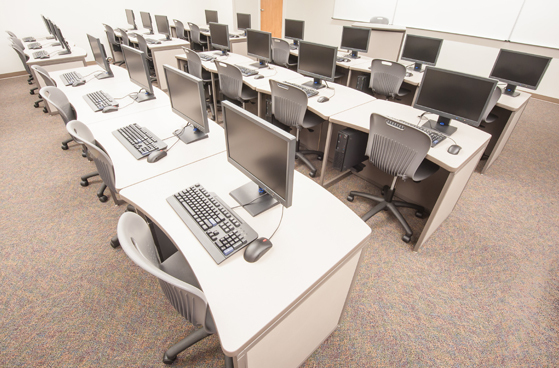 Sierra School Equipment Company is proud to offer a diverse range of comfortable, durable and user-friendly computer and technology furniture options carefully chosen by our expert staff. 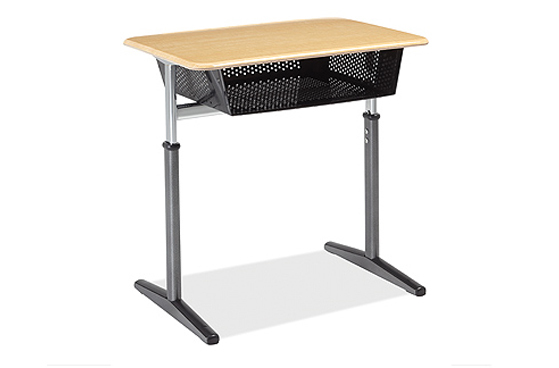 Products include adjustable height chairs and stools, workstations and tables. 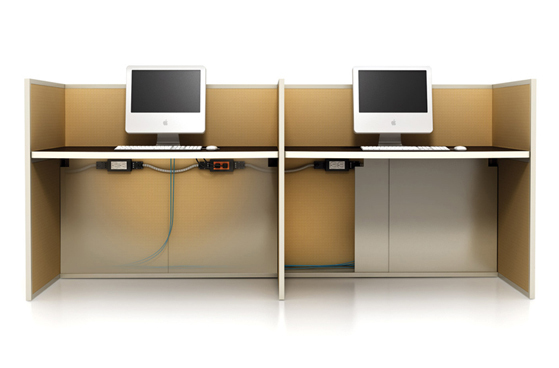 Special variations are available including electrical, data ports and privacy panels on workstations or tables. 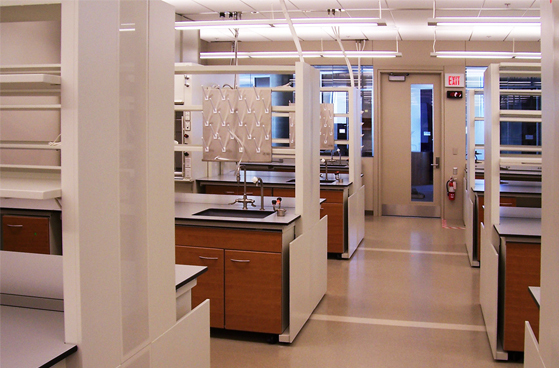 Our various offerings have been carefully designed to safely accommodate electricity needs, which are, of course, an important requirement in all labs. 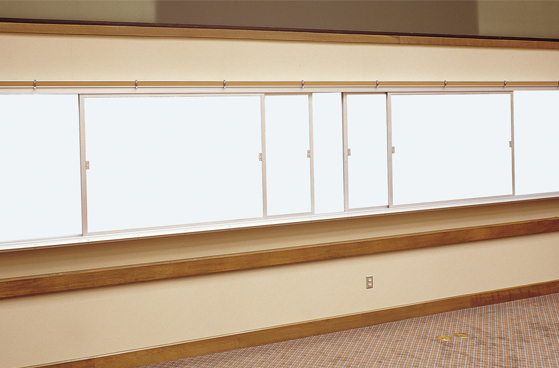 Additionally, it is possible to have all furniture custom made to fit the exact dimensions in a given room or space. Just let us know what you need, and we’ll happily take care of the rest. The typical student may spend the majority of the day indoors, but we understand the importance of the time spent outdoors. 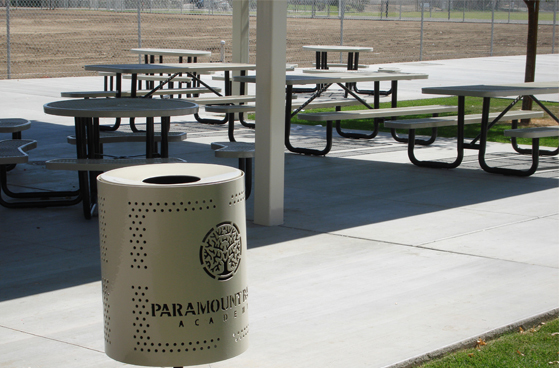 Our outdoor furniture options include such essentials as outdoor picnic tables, benches and trash receptacles all that can be manufactured of metal, concrete and polyurethane as well as fiberglass options. We also provide a range of fiberglass, aluminum and fabric umbrellas to accompany your outdoor furniture. 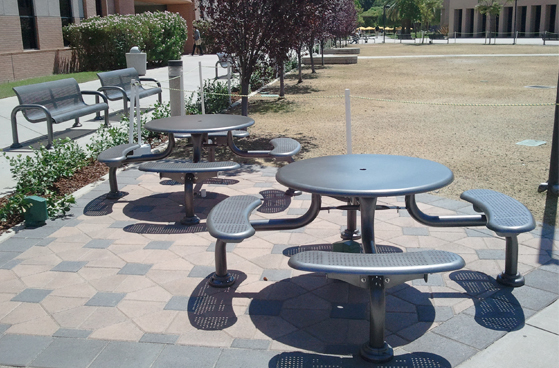 Sierra School Equipment Company offers tables and benches in a variety of shapes, colors and patterns. 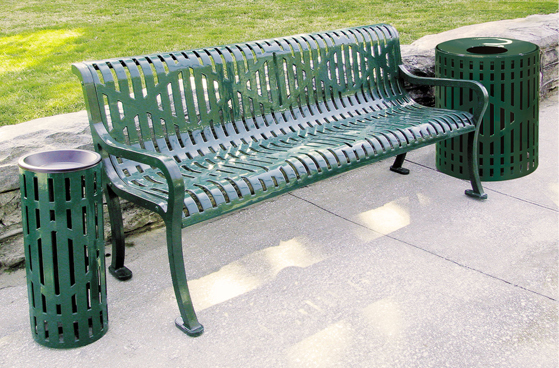 We even offer eco-friendly tables and benches made of wood and recycled plastic materials. We know that time spent outdoors can be a relaxing part of the day, and we want to enable your students to make the most of every minute. 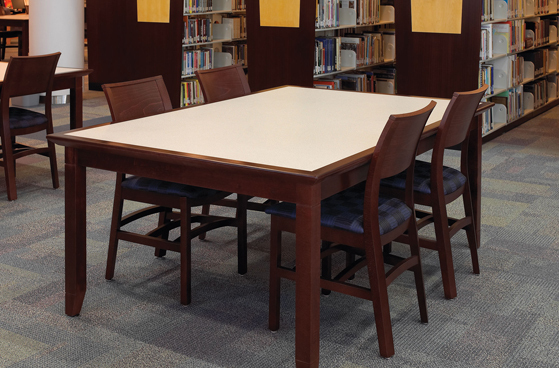 Library furniture and equipment needs to be durable and comfortable. Our staff has selected some exceptional options that excel in both durability and comfort. Metal and wood tables and chairs are available as well as extremely comfortable upholstered chair options. Such essentials as lounge furniture, freestanding and modular, are available in various materials including vinyl and fabric. Coordinating tables and chairs are also available. 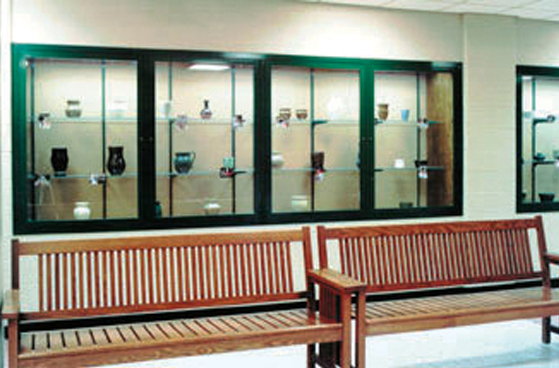 Plus, we offer a variety of choices for both wood and metal finishes. 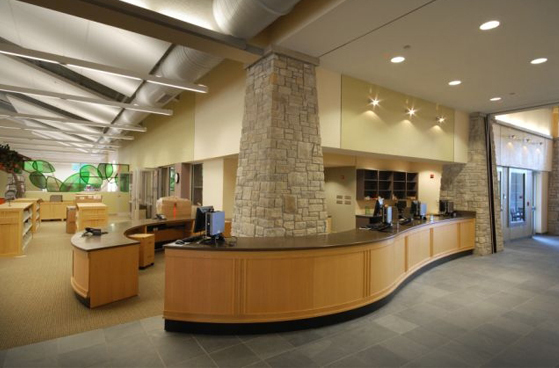 Library circulation desks and reference counters are also key products necessary for any library. 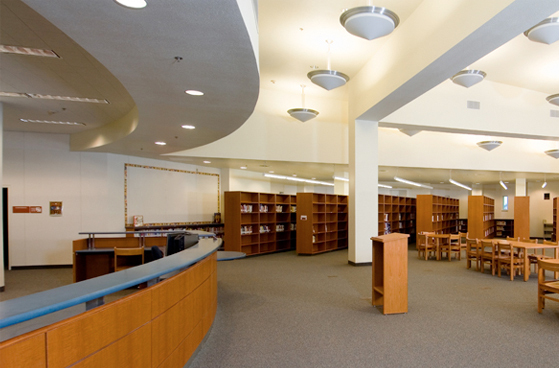 Of course, what would a library be without ample shelving space to hold all of that knowledge? We provide high-quality metal and wood shelving (rotary, mobile, and stationary) designed to last for many years to come. As always, Sierra School Equipment Company can customize furniture and shelving to meet your exact budget, layout and size specifications. Science has never been more important in American schools than it is today, and having the right tools for excellence in science is essential. 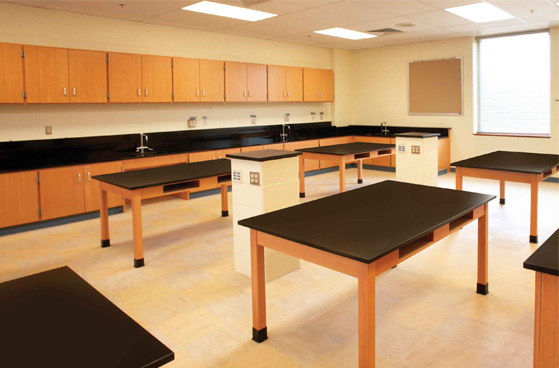 Sierra School Equipment Company is proud to provide a great variety of highly durable and dependable lab tables, workstations and ADA compliant furniture. 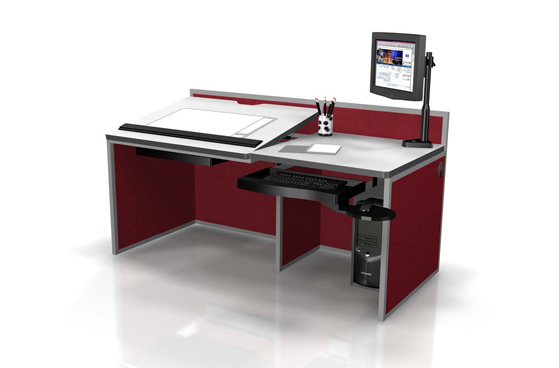 We can also provide workstations with electric, gas and water service. 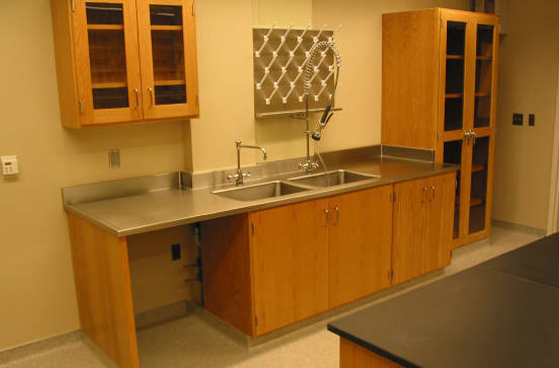 Other elements that are essential for science classrooms are cabinets to store equipment and specimens, epoxy resin sinks and more. 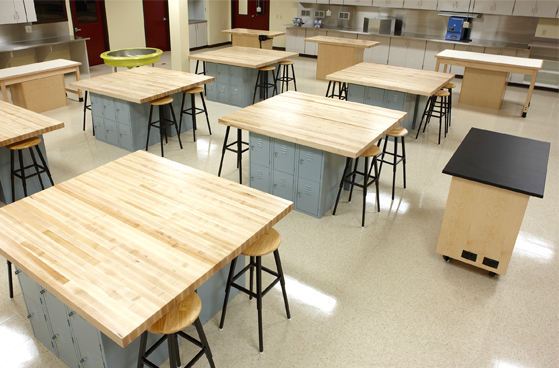 Epoxy, chemical resistant laminate, stainless and butcher block worksurfaces are all available from our company. 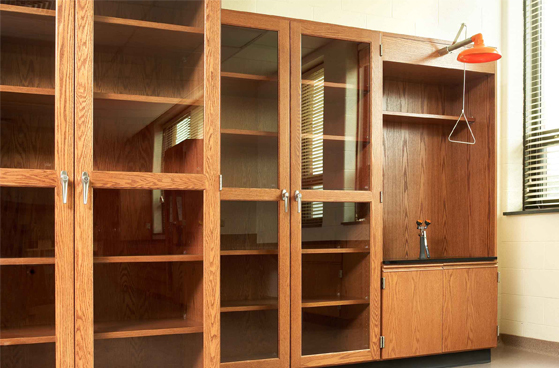 We also offer sturdy and attractive wall mounted cabinets for holding beakers, microscopes and other tools. 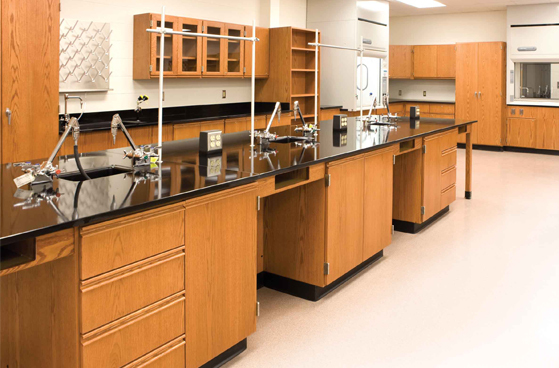 Sierra School Equipment Company can provide other items that are fundamental to science labs such as eyewash stations, fume hoods and mobile demonstration units. 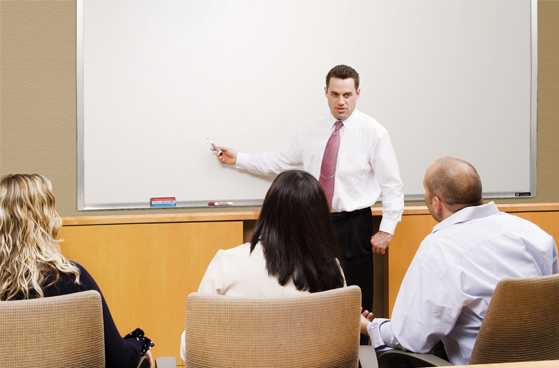 There are many essentials that keep a school of any size operating effectively. 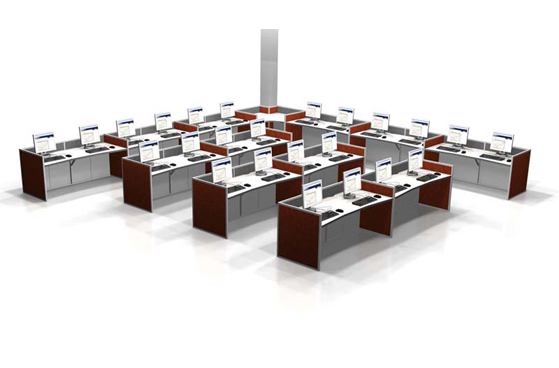 There is no doubt having enough chairs and tables ranks right at the top of the list. Our folding tables and chairs are built to last and built to be used again and again for years to come. 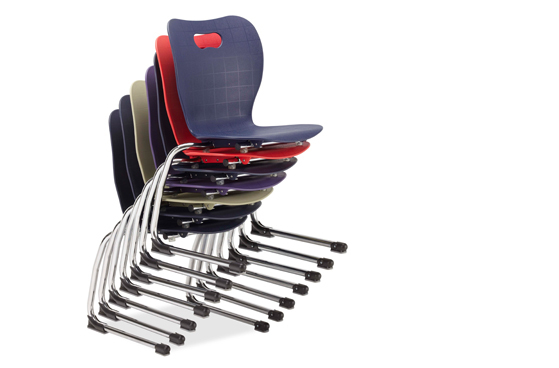 We put an emphasis on comfort as well as functionality as chairs are designed for easy stacking and storage. 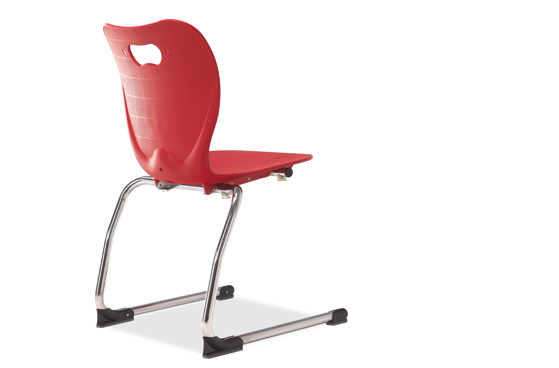 Folding chairs are available in metal and wood with fabric, and vinyl options that can be customized with your school’s or department’s logo. 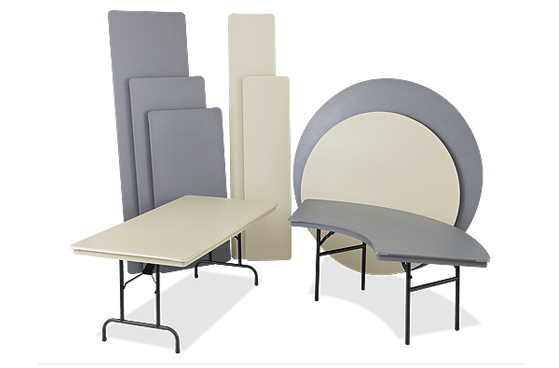 Folding tables come in aluminum, laminate and plastic including many different shapes and sizes. 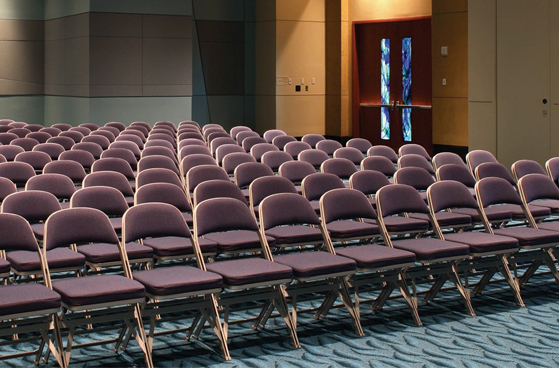 Folding tables and chairs from Sierra School Equipment Company are designed to be tough and versatile to accommodate any function or event. 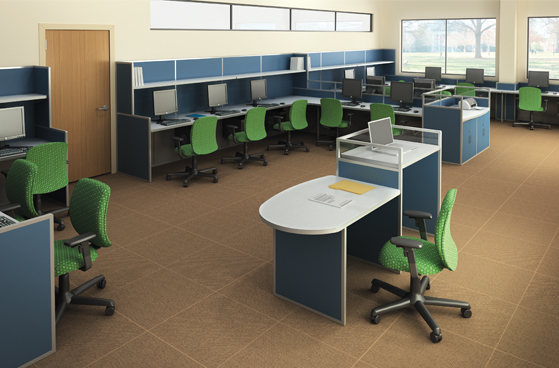 We seek to find the furniture that fits the style and requirements of your space at an affordable price. Being able to effectively communicate in the classroom is important for the success of any educator. An essential part of effective communication is the whiteboard. 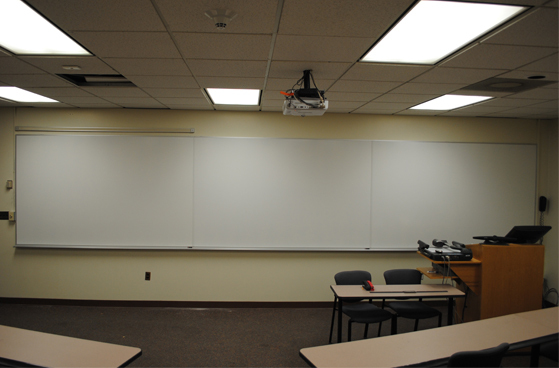 We can provide whiteboards for in front of classrooms as well as different variations of whiteboards for math, science and music. 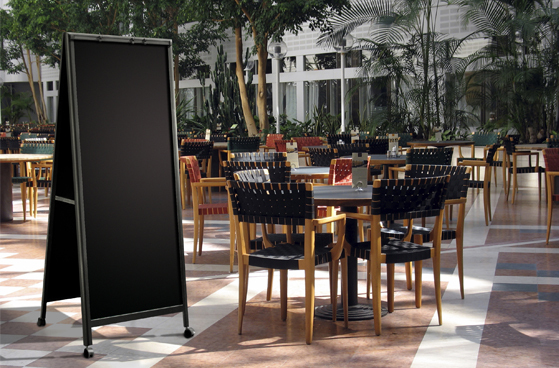 Other options such as chalkboards, glassboards, tackboards and markerboards with dry-erase surfaces are also available options. Our range of visual boards for hallway schedules and presentations are designed to help you keep an array of information organized and easily accessible. As always, meeting the diverse needs of schools is paramount, and so we provide a variety of choices for frames, colors and surfaces. 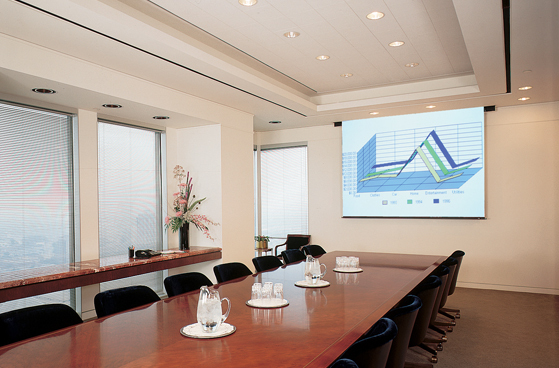 We can also assist you with various mounting solutions including wall mounts, magnetic mounts and panel system mounts. Sierra School Equipment Company. All Rights Reserved.